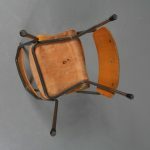 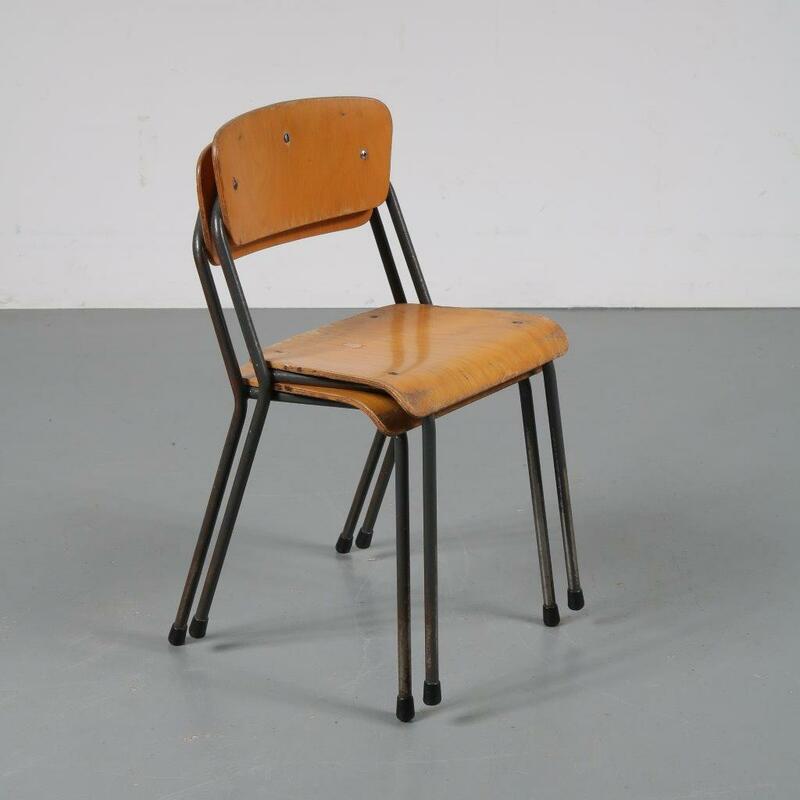 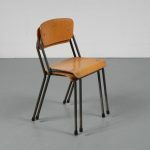 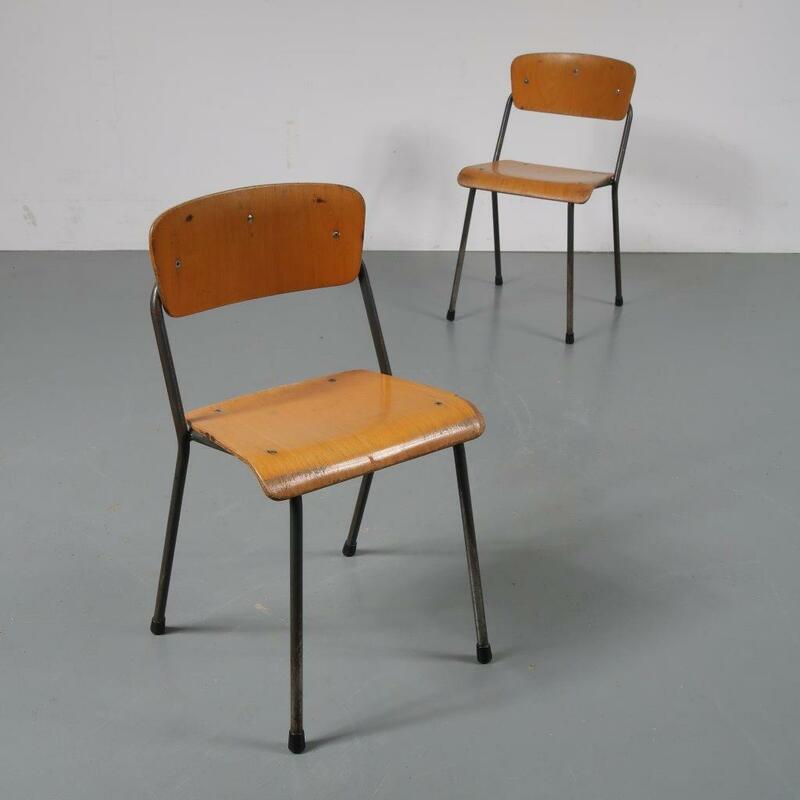 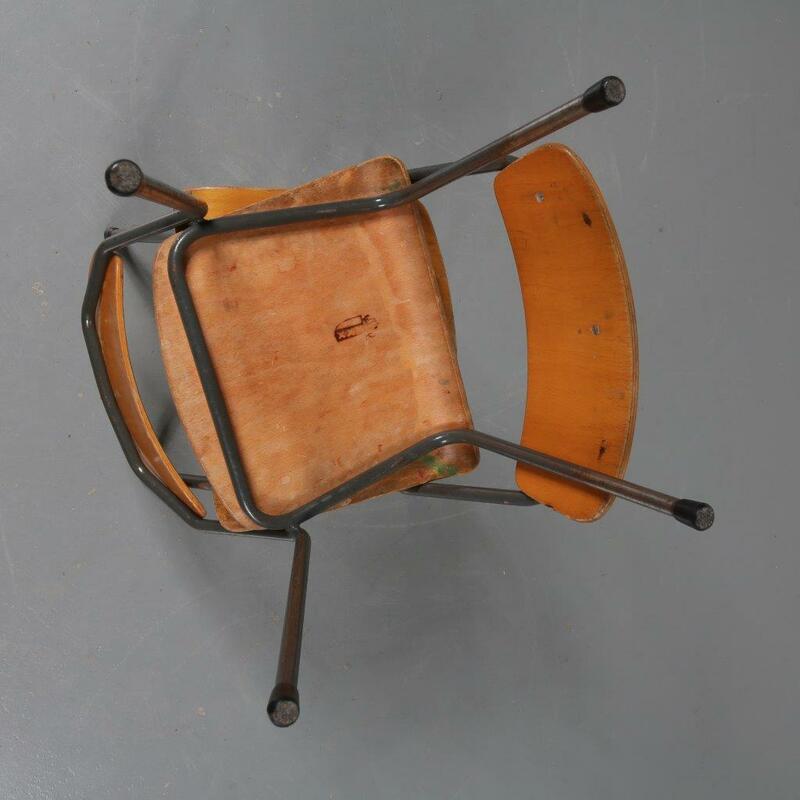 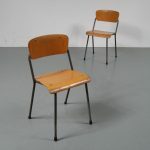 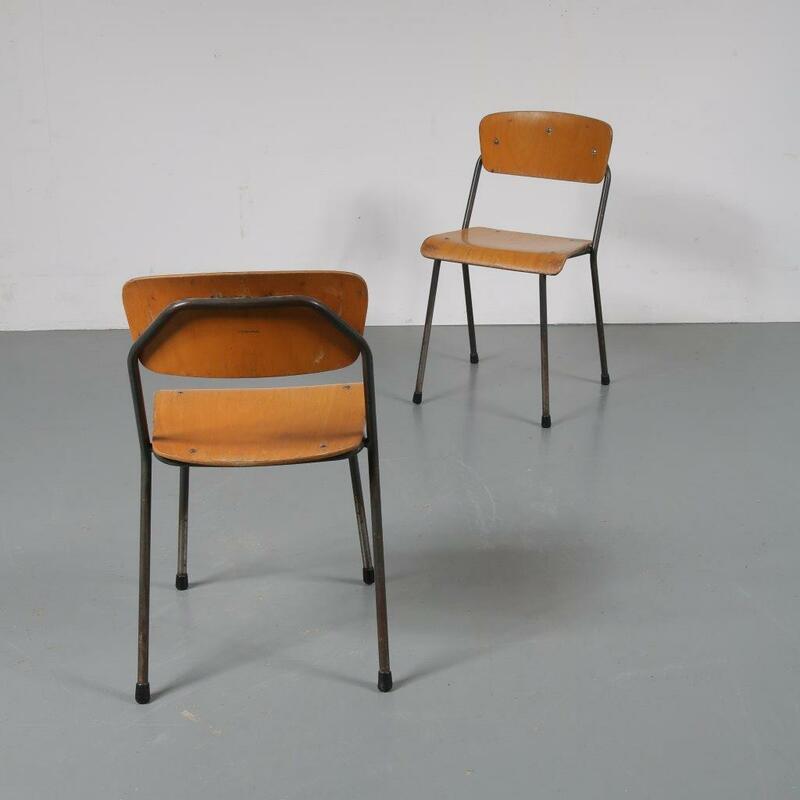 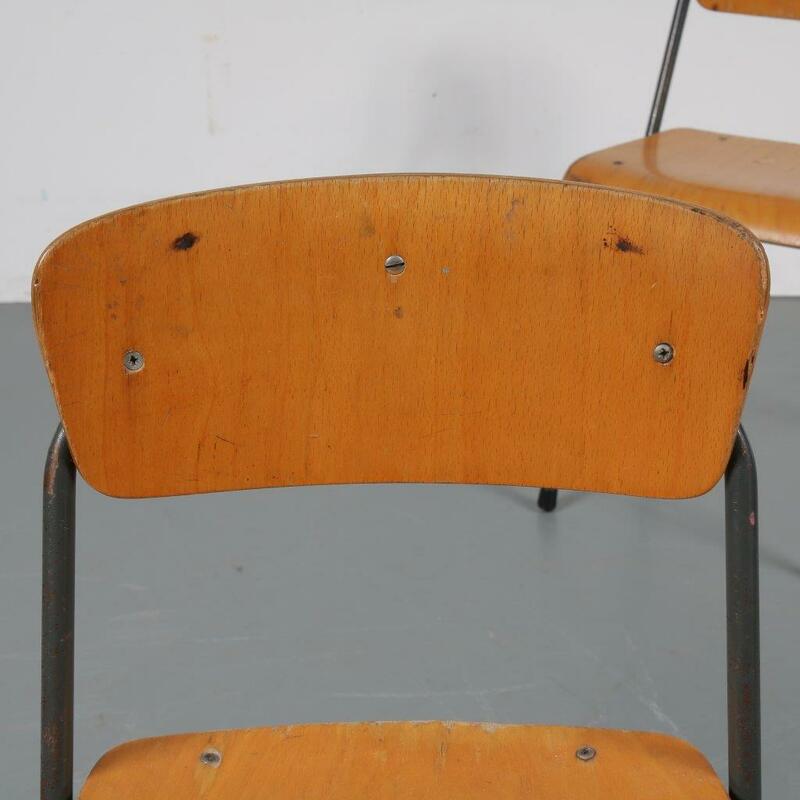 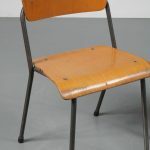 These beautiful industrial style children chairs are recognizable pieces of Dutch design! 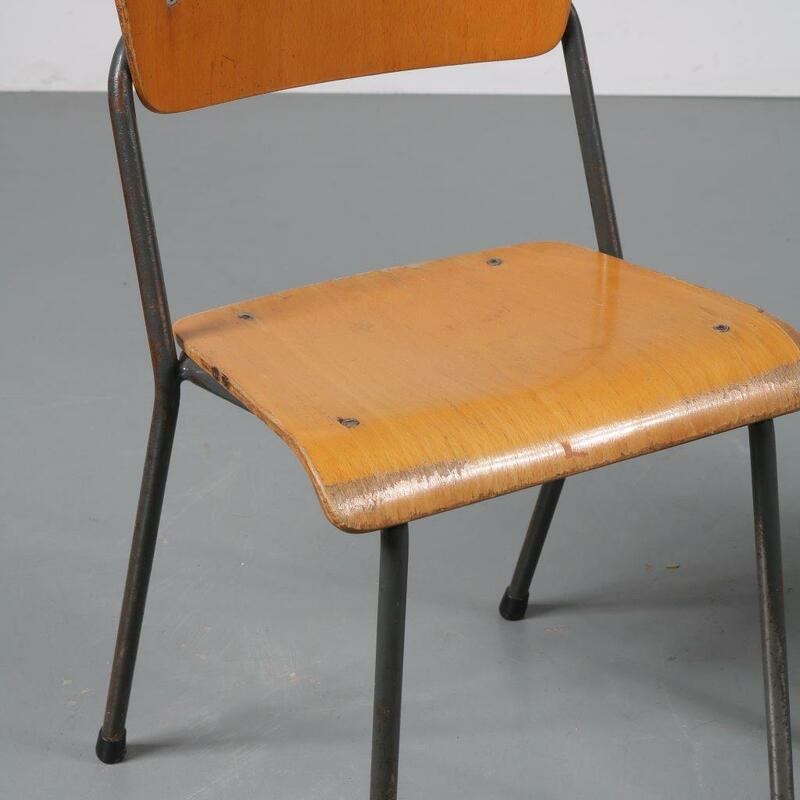 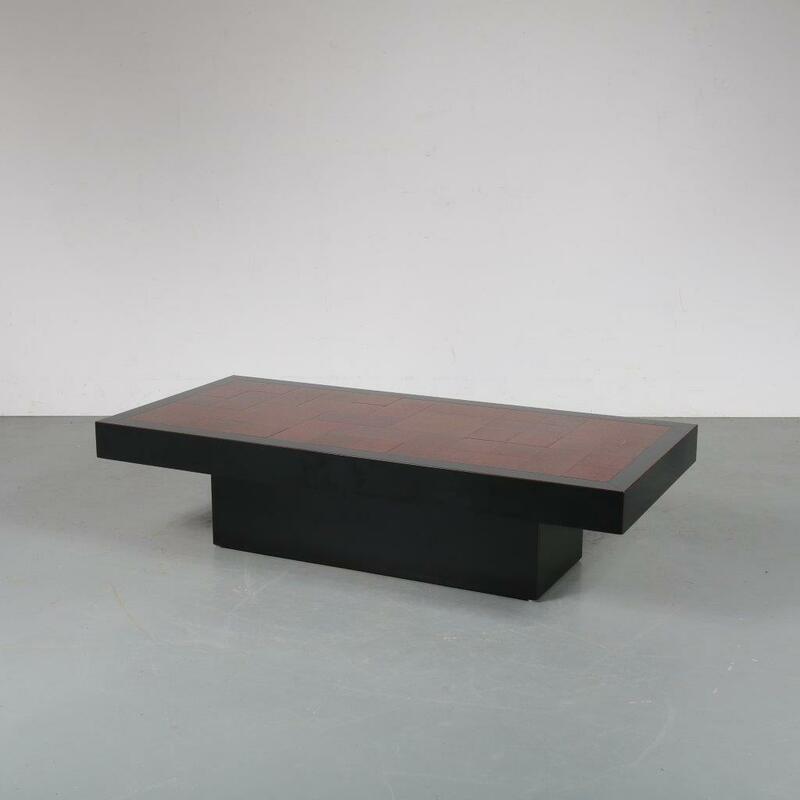 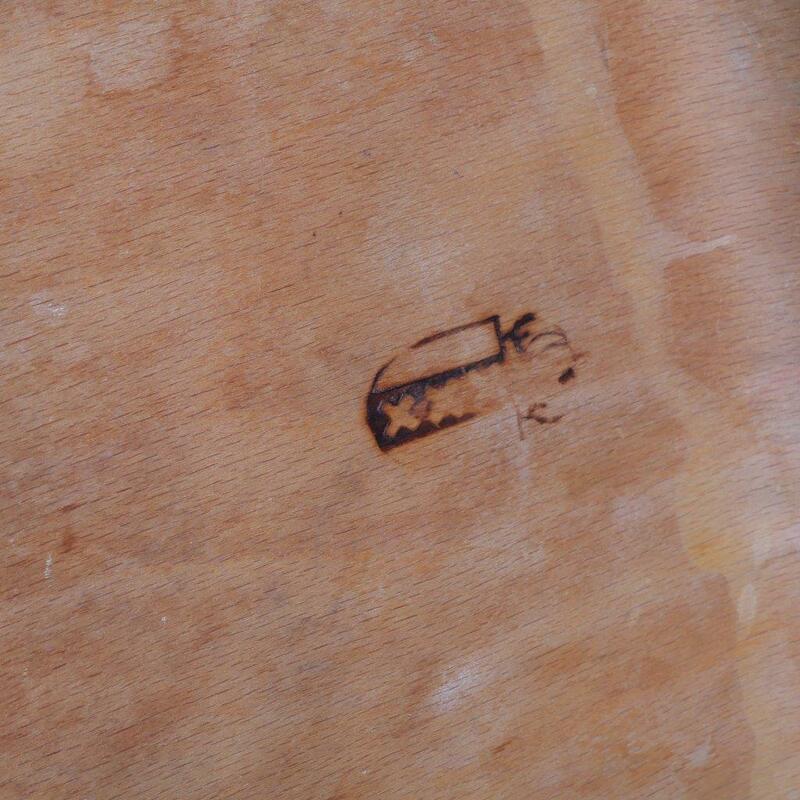 Manufactured by Marko and stamped under the seat with the Amsterdam coat of arms. 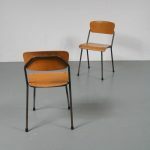 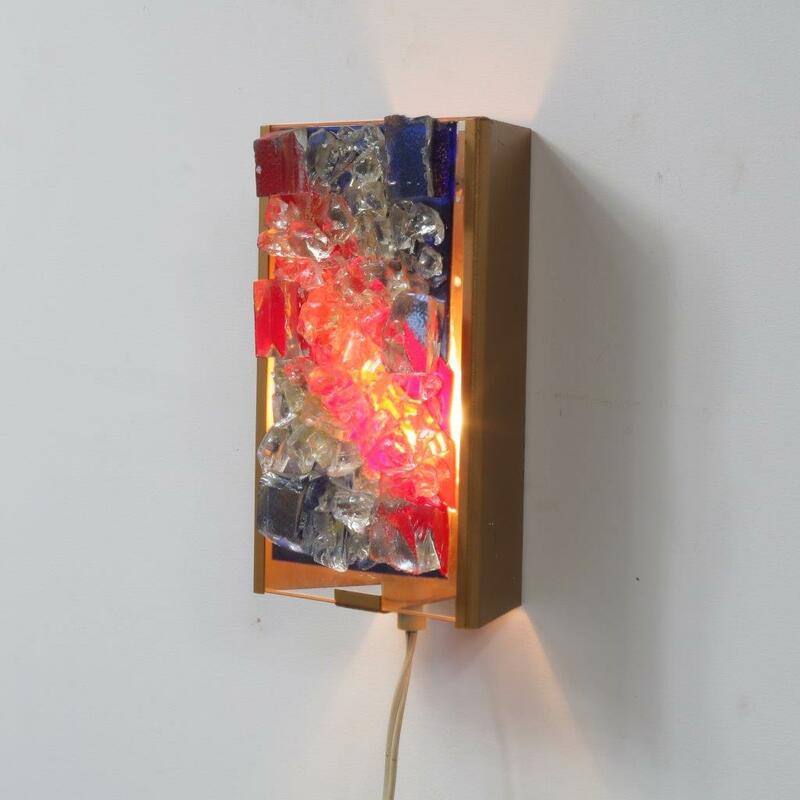 They are made of high quality plywood in a light brown, natural wooden colour. 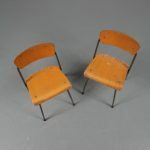 The grey metal frames match perfectly with the style and create the industrialst look that make the chairs so appealing. 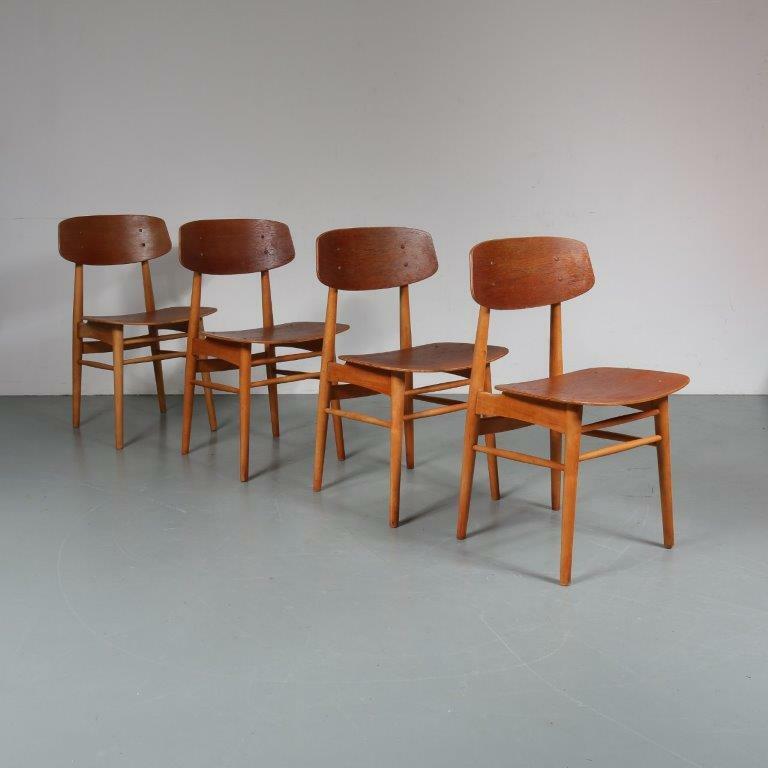 A wonderful opportunity to introduce quality midcentury design to your children! They remain in good, vintage condition with minor wear consistent with age and use, preserving a beautiful patina. 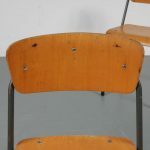 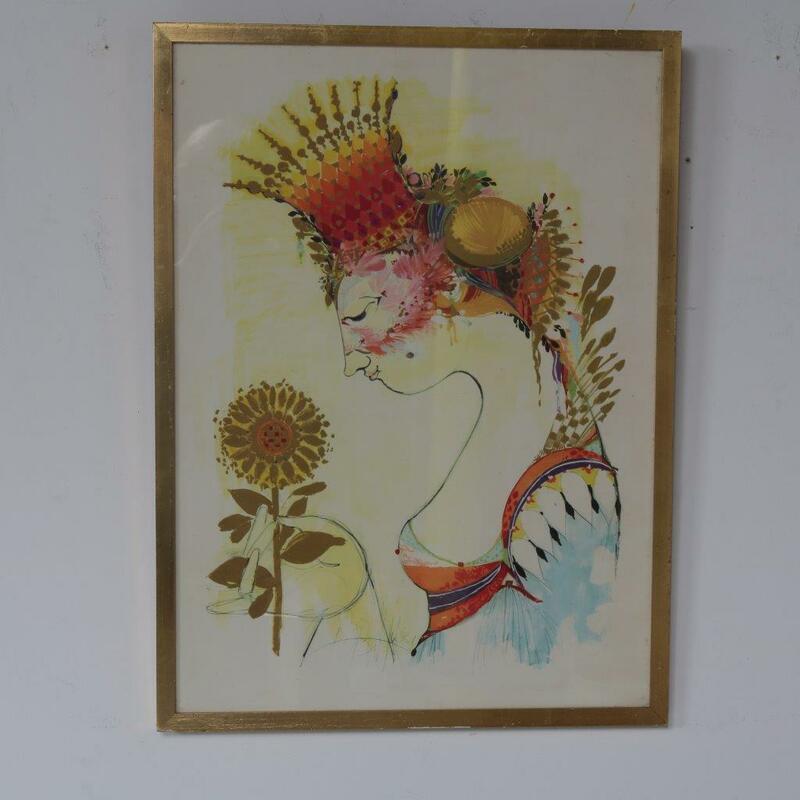 Check stock quantity above for the latest stock info!